The Step2 Cozy Kitchen was an early Christmas present to my son. After realizing that he was obsessed with playing with a pretend kitchen set at a family members house, we decided he needed his own, but we had the predicament of living in a Brooklyn size apartment with a toddler who already has a lot of toys, and we don’t have any space to spare! In my search for the perfect kitchen, I found the Cozy Kitchen by Step2. It was small, compact, and came with the perfect amount of play dishes for my 17 month old. At 17 months, I didn’t think size would make a difference and I was right. My son played with this kitchen non stop for two days straight. All other toys were forgotten and he concocted all kinds of “delicious” meals for Mommy and Daddy. Especially for Daddy. I recommend this kitchen for anyone who lives in a tight space and can’t spare much room for a large kitchen set. 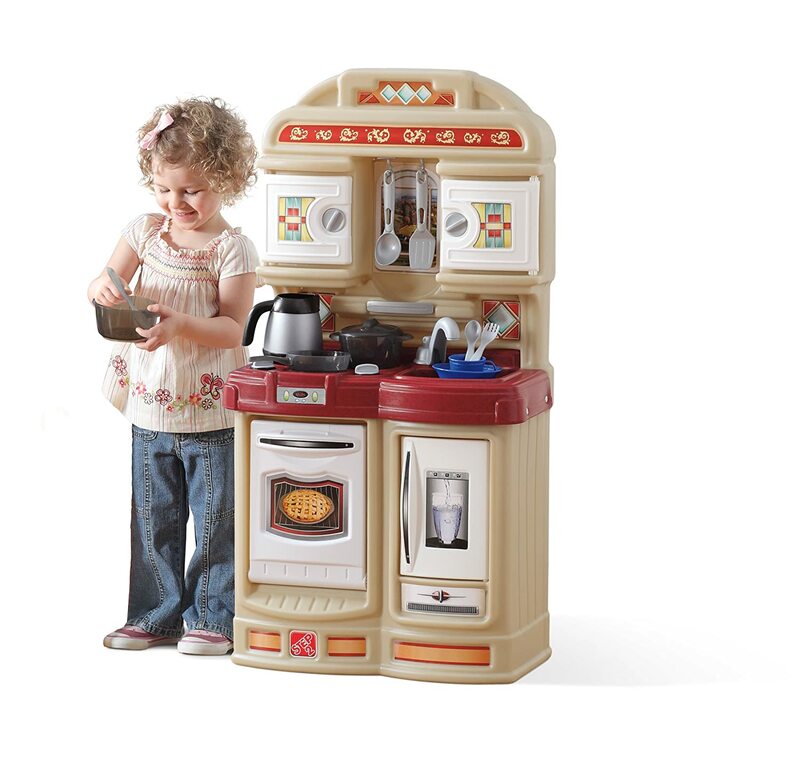 Of course it would be wonderful to have more doors to open, some drawers to hold the utensils, and a microwave, but beggars can’t be choosers and my son loves this kitchen more than any other toy in the apartment. I give this five stars out of five for its perfect fit in our tight apartment and because my son loves it to no end!